INLEAD - Job Oriented Program | 100% Campus Placements | MBA and PGDM Programs: TA – TA Nano – A Shattered Dream? Branding – Tata Motors tried its best to create a positive brand image for the Gen X Nano. However, the organization failed to position the product on the basis of its style and comfort. Despite Tata’s constant marketing gimmicks, the consumers continued to see Nano as a low cost ‘cheap’ product, an image that the company itself created in 2008. 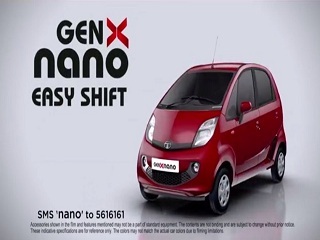 Falling sales – Initially, Tata Motors was excited to see consumer’s positive response towards Gen X Nano. However, the organization failed to notice that Nano was again becoming a synonym to ‘Cheap’. Today, Nano sells less than 1,000 units on an average, which isn’t good news for a mass market car manufacturer (Financial Express Report, 2017). Flanking attacks – Since its launch in the year 2008, the competing brands have also focused on revealing the dark side of Nano. Competitors such as Maruti, Hyundai and many more have focused on ‘competitive advertising’ that showcased the weak points of Nano. This further strengthened the negative perceptions of the consumers. Availability of substitutes – With renowned individual brands such as Alto, Eon, Kwid, Datsun Go and many more, Tata Motors faces a stiff competition in the market. This is a roadblock that Nano is unable to overpower. Regrettably, in a young and ambitious country like India, Nano was not the right recipe for success. With numerous challenges facing Nano, the future of Ratan Tata’s dream project appears to be in a fluid state.